Filipino Ronald Pontillas was defeated by the Indonesian boxer Daud Yordan yesterday December 20, 2014 at Pangsuma Stadium, Pontianak, Indonesia. 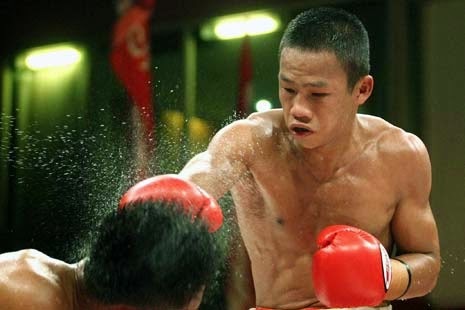 Daud Yordan who stays aggressive from the starting round thru the 5th round connects a right straight to the body of Pontillas. Pontillas never recover from the body shot and he referee stops the fight at 2:25 minute mark in the round 5. Daud Yordan won the interim WBO Asia Pacific lightweight title. Daud Yordan who rest for almost 1 year comeback with the emphatic victory and improved his record with 33 wins including 24 wins by way of KO and has 3 losses. While Pontillas dropped by 17 wins with 7 defeats.